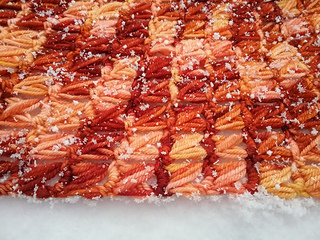 Broomstick lace is such a beautiful technique that is woefully underused. Historically it was called Jiffy Lace because of how quick and easy it is to make. 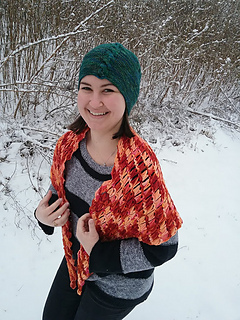 If you’ve never tried it before, this shawl would be a great way to learn how to crochet Broomstick Lace. If you’re an old hand at this, well, you already know how much fun it is! 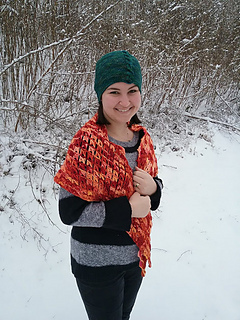 This shawl starts at one corner and grows larger with every row. The pattern is written so you can stop at any time. 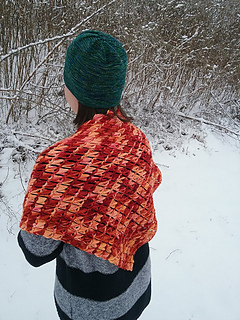 Make your shawl as large or small as you desire. 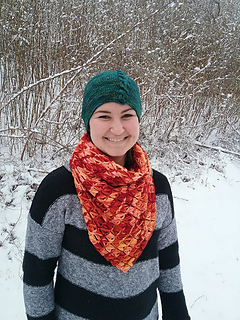 This pattern is written so you can use virtually any yarn. 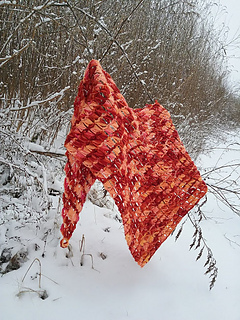 However bulky, super bulky, and jumbo weight yarns are not suggested as they may not drape well. For different weights of yarn you will need different yarn amounts. 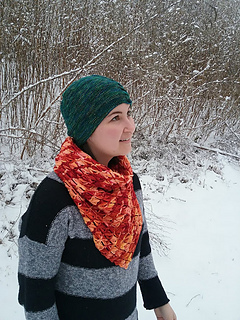 The pattern is also written so you can use virtually any size hook as long as it pairs well with your yarn. You will also need a dowel or large knitting needle to hold your stitches as you make the Broomstick Lace. 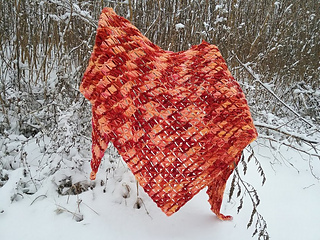 The size dowel or needle you will need will depend on the weight of yarn you are using and will ideally be at least 18”/ 45.7cm long to hold the large number of stitches present at the end of the shawl.